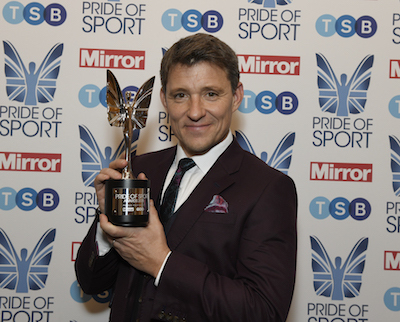 Pride of sport is 'celebrating and recognising the unsung heroes of grassroots sport'. As well as raising awareness about sport and encouraging people to be more active on a regular basis, the event will highlight people who have contributed to sport at a local or national level, across all walks of life. Do you know someone that has gone the extra mile to help others, young or old, achieve their personal best and reach their goals? It could be a selfless volunteer who has given up their time to coach youngsters for years, or someone who washes kits to make sure players look their best week in week out. We want to hear your heart-warming and inspiring stories, so if you know someone that deserves to be recognised then nominate them for a Pride of Sport Award!